Fidesz and Likud also share the same campaign strategist. In 1996, Arthur J. Finkelstein was credited with demolishing Shimon Peres’s 20 point Labor Party lead over Benjamin Netanyahu in a matter of a few weeks. 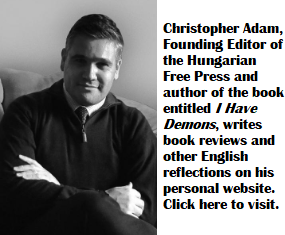 Ever since, he has been Likud’s éminence grise…and now he is working for the Fidesz government as well. Mr. Finkelstein is certainly no push-over, and works remarkably effectively from the background, and is rarely seen making public statements. He instead feeds messages and campaign slogans to the politicians, who he pushes to the forefront. Mr. Finkelstein is the son of working class Jews from Brooklyn. His father was a cab driver. Despite the fact that he is openly gay, Mr. Finkelstein had absolutely no qualms working for the most rabidly right-wing and anti-liberal Republicans in the US. In 1996, he worked on the election of campaign of Senator Jesse Helms of South Carolina, and Mr. Finkelstein went along with a fear campaign about how the Democratic opponent had “connections” to the LGBT community. I would place my bets on Mr. Finkelstein being totally Machiavellian, much like his new political partner in Hungary, Prime Minister Viktor Orbán. 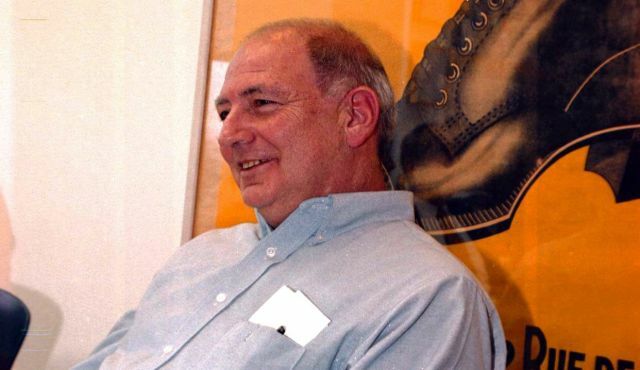 Arthur Finkelstein…one of the few photos of him on the internet. He is very much a backroom power broker and is rarely seen. The other import to Hungary from Israel and the US is the Birthright movement. Established in 1999, Birthright Israel offers primarily American and Canadian youth of Jewish descent the opportunity to travel to Israel–with almost all expenses paid by sponsors and donors–to discover or strengthen their Jewish roots. In the last 16 years, over 400,000 young adults have participated in this program, which involves visiting key religious and cultural sites in Israel, such as the Dead Sea and the Western Wall, and meetings with young soldiers of the Israeli Defense Forces (IDF). This meeting is called a “mifgash” in Hebrew, and it looks at the different forms of Jewish identity in Israel and in the diaspora, as well as the impact of military service on Israeli youth. Jewish youth from around the world can apply to the program, so long as they have at least one parent of Jewish origin. Airfare, accommodation and meals are all covered. There is merely a refundable $250 deposit that must be paid. In 2012, benefactors and conservative Hungarian diaspora organizations teamed up with the Orbán government and began an almost wholesale adoption of the Birthright Israel program, in order to reaffirm the Hungarian identities of American and Canadian youth, who may only have one grandparent originating from Hungary. In the Hungarian diaspora, this is formally referred to as the Reconnect Hungary – Hungarian Birthright Program. High profile promoters and sponsors include former Governor George Pataki, PriceWaterhouseCoopers and the Hungarian Human Rights Foundation, also a Hungarian American group that is highly supportive of the Orbán government. 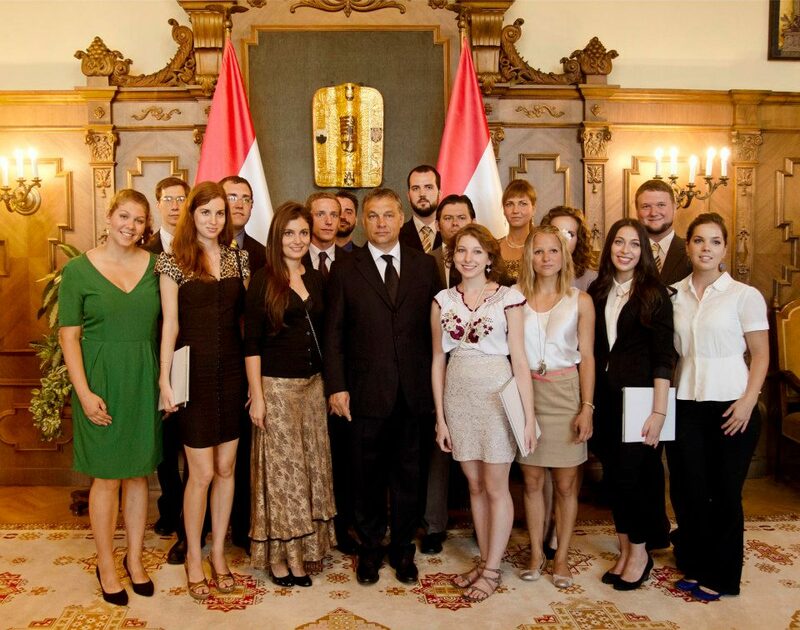 Birthright Hungary participants meets with Prime Minister Viktor Orbán and other Fidesz officials during their stay in Budapest. Photo: Birthright Hungary. The highlight of the Birthright Hungary trip is a meeting with Prime Minister Viktor Orbán, as well as encounters in Parliament with other Fidesz party officials, such as State Secretary Árpád Potápi. There is absolutely no evidence on Birthright’s Facebook page or on its website of any meetings with political leaders from other parties. 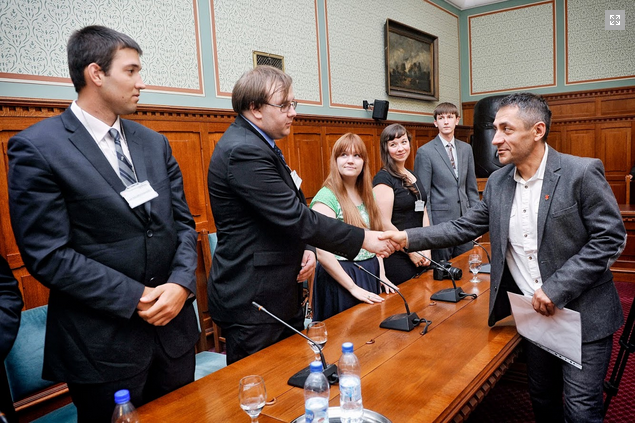 Birthright participants meet with Fidesz State Secretary Árpád Potápi. Photo: Birthright. On Birthright Hungary’s Facebook page, there is photo where young American and Canadian Hungarians are listening to Mr. Orbán talk about his office and daily responsibilities….and about the importance of having a guardian angel. “Everyone needs a guardian angel, so I have one in my room too,” said Hungary’s prime minister. 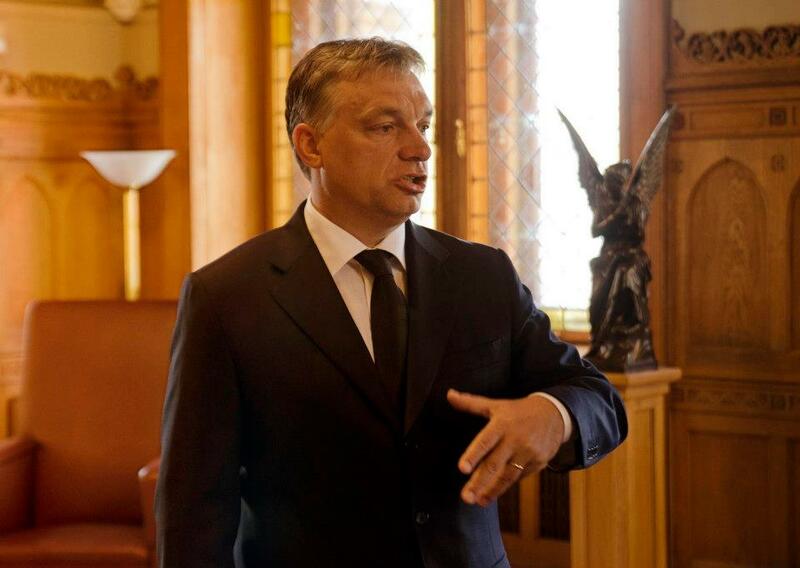 Mr. Orbán with his guardian angel in the Hungarian parliament. Photo: ReConnect / Birthright Hungary. Of course, there is nothing wrong with having a program where young Americans and Canadians of Hungarian origin can discover Hungary for the first time, and learn more about where their parents and grandparents came from. The fact that Hungarian Canadians and Hungarian Americans of more modest means can participate too (all costs, except airfare, are covered by the organizers) is important and welcome. It is, however, a concern that this program seems only interested in showcasing Fidesz political leaders and does not introduce the young participants to the diversity of political life and thought in Hungary. And that diversity does, indeed, exist…even in the shadow of the de facto two thirds Fidesz majority. Showcasing it would only enrichen these visits and would give young Hungarian Canadians and Hungarian Americans a more thorough understanding of Hungary today. well, that’s the thing: the whole program is not about politics or fidesz at all, nor is meeting the prime minister the highlight of the whole program. They would meet whoever is prime minister. It’s about a whole lot more than that. This article is yet another terrible failed attempt at trying trying to somehow discredit Fidesz. Once again all it shows is that the left is morally and politically inept, out of ideas, and bankrupt. Failed attempt trying trying.. aren’t you too eager Mr. Troll? Yes Canadian, probably the program has nothing to do with fidesz and politics, just because orban involved:) Next joke? Lol. Oh Miki. The left can really handle criticism cant they (you) ? Anything but tacit agreement is met not with facts but with name calling or aggressive hyperbole. You guys must really miss communism and living under GyurcsiSSR. Thank heaven your a minority andca dyeing breed.